Now collected in a Deluxe Edition hardcover! 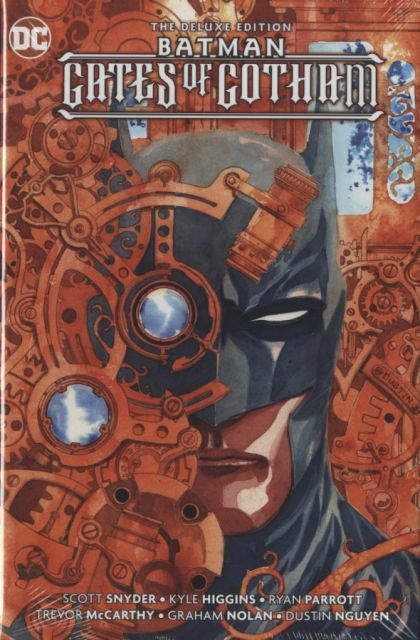 When a mystery as old as Gotham City itself emerges, Batman assembles a team of detectives-including Red Robin, Owlman, I-Ching and others-to investigate. As clues are discovered and the mystery deepens, the team explores different eras and touches on families including the Waynes, Kanes and Elliotts. This volume collects the five-issue miniseries plus stories from BATMAN ANNUAL #28 and DETECTIVE COMICS ANNUAL #12. Diesen Artikel haben wir am 07.11.2018 in unseren Katalog aufgenommen.